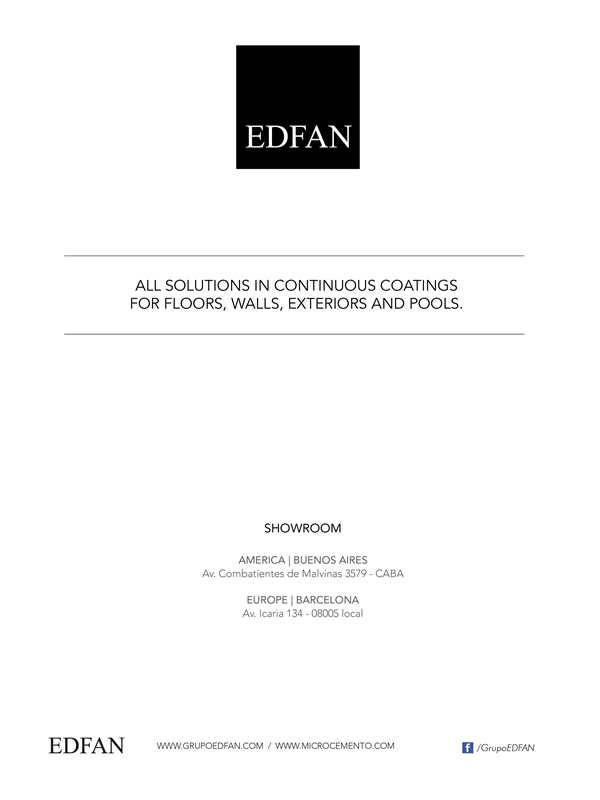 Concrete Panel | EDFAN Solution faster than ever! Conkretus are decorative cement panels ¡cover your spaces faster and easier than ever! Adapting to your lifestyle, this textured and colored concrete panels imitate real concrete finishes, offering aesthetics to your spaces. Ideal for indoor or outdoor, this solution is a new concept for your decoration. The concrete panels are super thin (6 – 10 mm) and light. One of the big advantages of this system is that it can be installed on existing surfaces such as floors or walls; ceramics, tiles, marble. Needing only some basic tools and following the installation steps you will be able install your concrete floor or wall. We have 2 standard measurements, an interesting color charts and textures that are: Fair Faced Concrete, Plank Wood Concrete, Paris Stone, Morelia Stone, and Smooth. ¡Make the most of this innovative idea to obtain an original and modern finish! RENOVATE SPACES WITHOUT SUFFERING THE MESS, DIRT AND COST OF GENERAL REFORMS. Conkretus is ideal for those who want a cement covering: Concrete Panels do not depend on the base over in which it will be installed. It is also an esthetic alternative to humidity issues. The panels are installed over humid surfaces leaving a space between the base and the Concrete Panel. – Covering existing surfaces such as tiles, ceramics, marble, concrete, plaster and mortar. – Panels will be delivered palletized, suitable for air or ground transport. – Keep in a dry place and fresh place in the original packaging. Panels should be kept in a horizontal way. “Paris Stone” and “Morelia Stone” textures are installed only on walls.